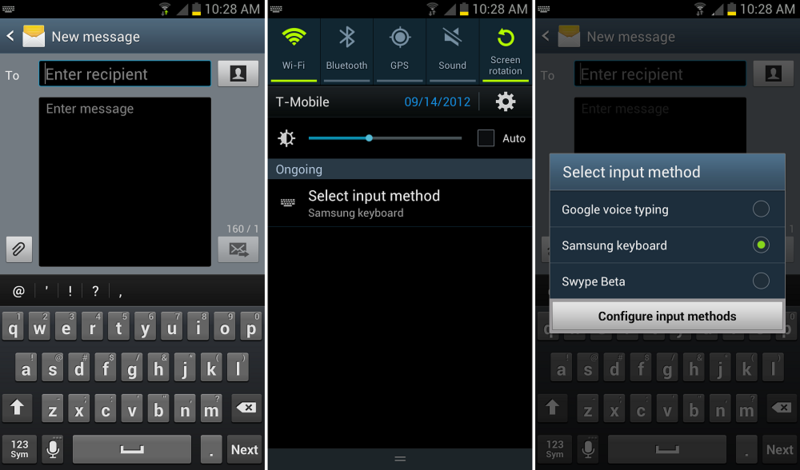 One of the features that we tend to overlook is the ability to install custom 3rd party keyboards on our Android phones. They allow for different methods of inputting text such as swiping, pecking, speed pecking, or simply speaking into our device. The means of installing the keyboards are somewhat questionable at times so allow us to quickly walk you through it. The best place to score a new keyboard is from Google Play. There’s many to choose from, but for this guide we’ll use one of the more popular ones called SwiftKey 3. 3. Once you’ve located the app, install it onto your device. 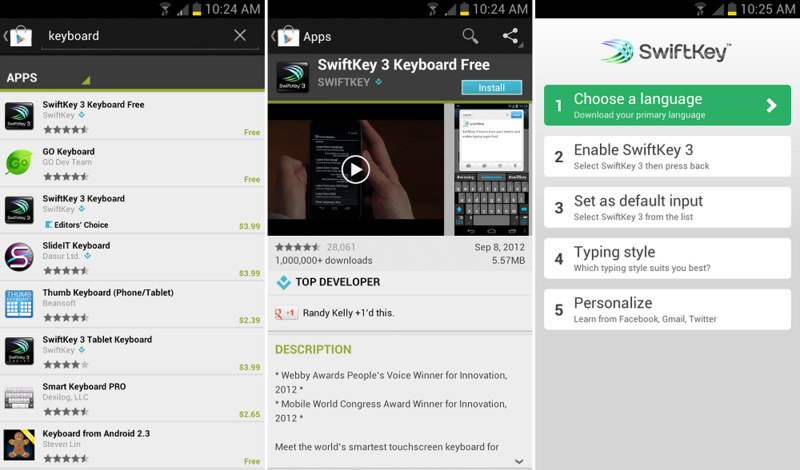 SwiftKey offers a great interface for enabling the keyboard from inside the application. The above image shows these steps. 4. Once you’ve followed their setup guide, you’ll now be running a 3rd party keyboard. 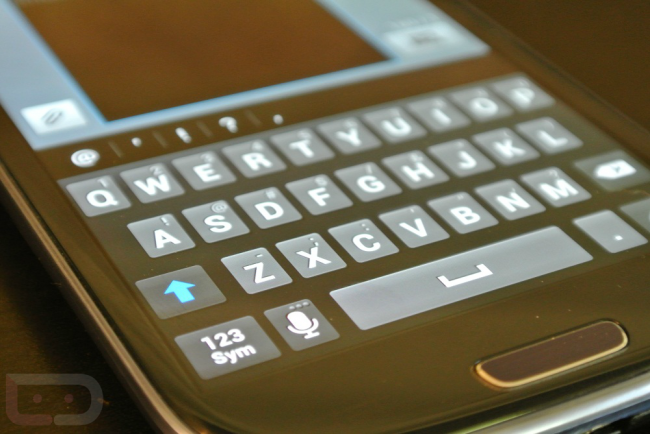 We used SwiftKey due to the fact that everyone tends to really enjoy it. It has a great look and its auto-correct is unbeatable. Now onto changing between keyboards. Sometimes, the keyboards you install won’t have a built-in enabling feature. 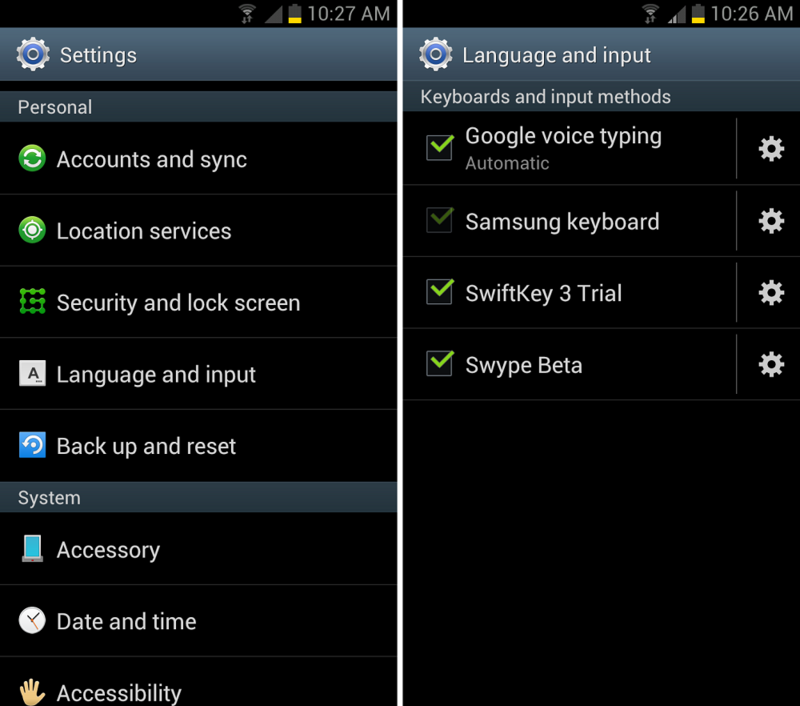 For this, we’ll walk you through how to enable a 3rd party keyboard from the Settings menu. 1. From a homescreen, open up the main Settings menu. 3. Under this menu, you will find every keyboard application you have installed. 4. Check the box for which keyboard you would like to enable. A box will appear warning you that installing a 3rd party keyboard could be potentially risky. You’ve now enabled the keyboard. Depending on the device, you’ll see a button for “Default.” This button determines which keyboard your phone uses. Hit it and select the keyboard you wish to use. Now you’re up and running with your new keyboard. Once you have multiple keyboards installed, you’ll want to easily be able to switch between them as you so choose. Either follow the directions above by going through the main Settings menu or follow this method below to enable different keyboards from inside your messaging applications. 1. While inside an app that allows for text input, pull down on your notification bar. 3. Choose which keyboard/input method you would like to choose. That’s the easiest way to go through them.